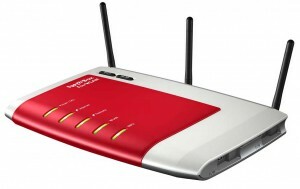 Fritz!Box is series of DSL and WLAN routers produced by AVM. They are extremely popular in Germany and are the uncontested market leader for private DSL customers. Recently, a significant number of Fritz!Box owners became victim of an attack that resulted in calls to expensive international numbers. The newspaper “Der Westen” reported about a case where phone calls valued over 4200€ were initiated from a compromised Fritz!Box. Few days later AVM published a security update for a large number of Fritz!Box models and urged customers to apply the patch as soon as possible. However, no further details about the vulnerability were published. This blog post describes our analysis of the vulnerability that we performed directly after the first updates were released.